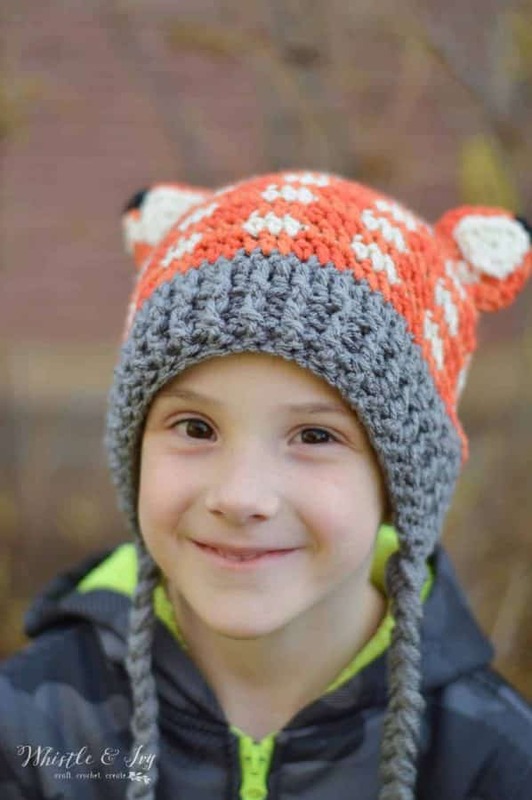 Crochet Plaid Fox Hat - Free Crochet Pattern, adorable crochet fox hat! I truly feel that inspiration is everywhere if you look for it. 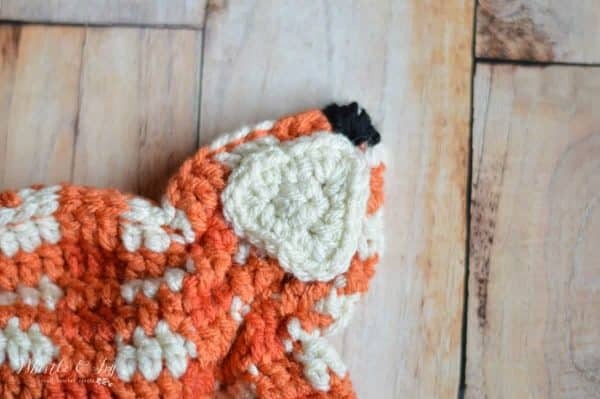 The inspiration for this cute crochet fox hat came to me in a picture book we found at the library several months ago (I sadly can’t even remember what it was). It’s interesting to see how an idea can take on a mind of its own. 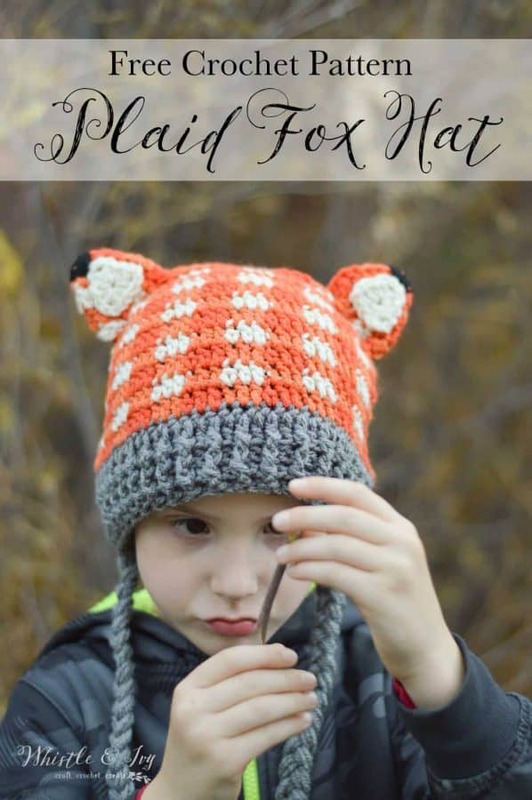 I am so happy that I stumbled on the inspiration for this Crochet Plaid Fox Hat and how adorable it turned out. I made one for me and of course I don’t look nearly as cute wearing it as The Boy does wearing his (for obvious reasons). I chose Red Heart with Love for this project and the colors are absolutely perfect. This hat is so soft and squishy! I toyed with both Taupe and Pewter for the band, and I think they both work really well. 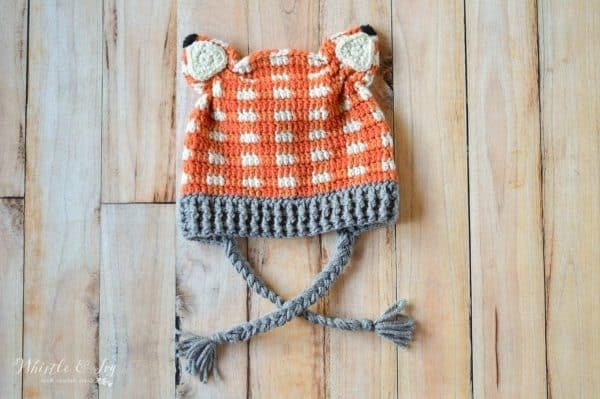 If you scroll down, you can see Taupe on the baby-sized hat, it’s a bit more woodsy than gray. But you guys know how I feel about gray (all the heart eyes). 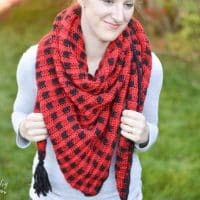 I also want to give a special thank you to Red Heart Yarns for sponsoring this post for Plaid Week! 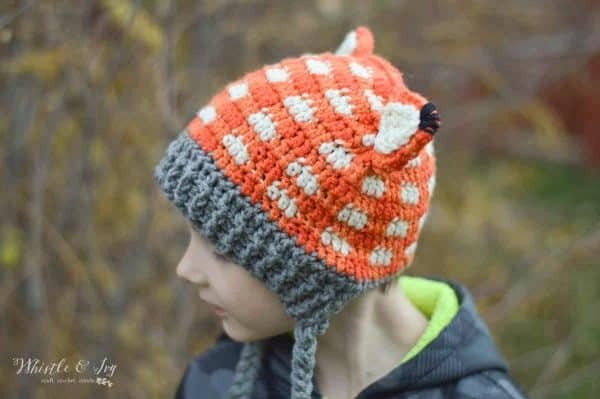 Be sure to thank Red Heart via Facebook or Twitter for being a huge supporter of Plaid Week and helping to bring this Crochet Fox Hat pattern to you. 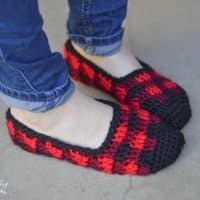 Feeling intimidated by crochet plaid? You can do it! 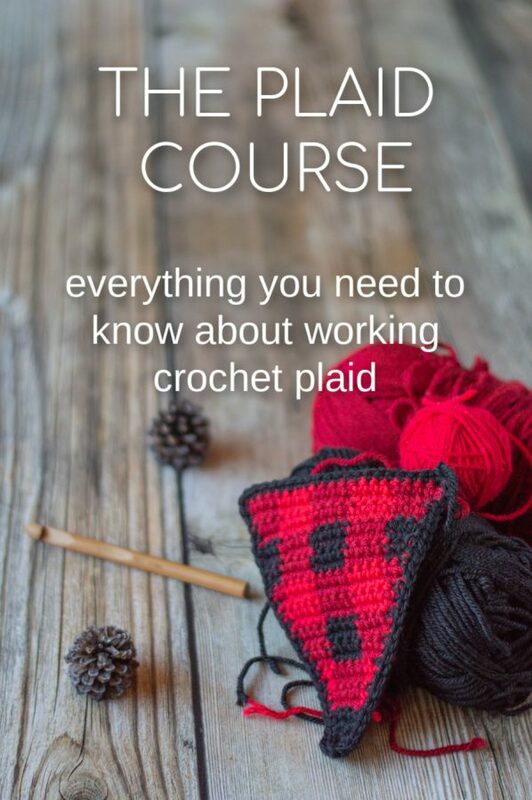 I made a course just for you! 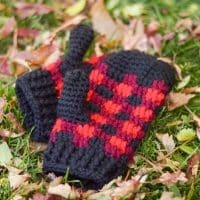 Learn plaid from start to finish, PLUS get both my Plaid Collection ebooks. Enroll here. 1. Using brim color (Pewter): 71 st sc foundation. Join with a sl st forming a circle. You will be working in joined rounds. Break foundation yarn. Sew a loose running stitch from the top pin to the bottom/side pin. Pull the ends and cinch the ear tight. Taking care that it stays tight and cinched, weave in both ends. Clip ends. 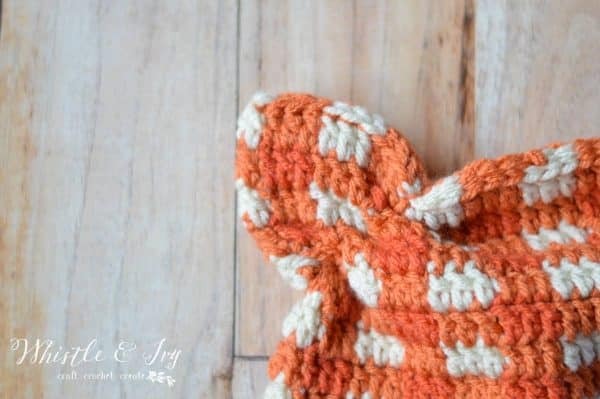 Finish the ears by sewing a castover stitch at the tip of each ear with black. 1. Using brim color (Pewter): 65 st sc foundation. Join with a sl st forming a circle. Working in joined rounds. Break foundation yarn. To form the ears, thread your darning needle with a length of yarn. With pins, mark 2.5 inches in from the top corner, and 2.5 inches down from the top corner. Sew a loose running stitch from the top pin to the bottom/side pin. Pull the ends and cinch the ear tight. Taking care that it stays tight and cinched, weave in both ends. Clip ends. 3. Ch 2. Dc in same st. Dc in next st. Work Plaid stitch, alternating between Aran and Mango. Join with a sl st.
4. – 9. Ch 2. Dc in same st. Dc in next tst. 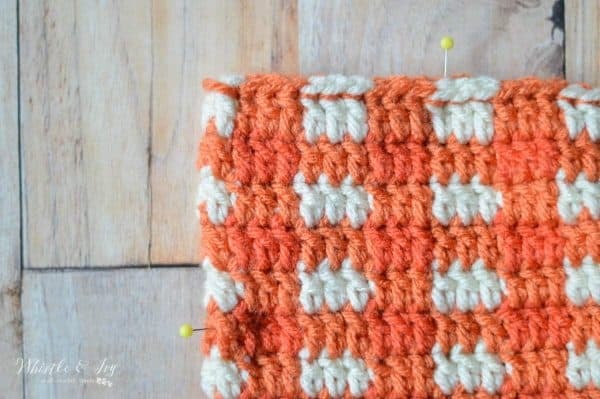 Work Plaid Stitch. Break Yarn. To form the ears, thread your darning needle with a length of yarn. With pins, mark 2 1/4 inches in from the top corner, and 2 1/4 inches down from the top corner. Sew a loose running stitch from the top pin to the bottom/side pin. Pull the ends and cinch the ear tight. Taking care that it stays tight and cinched, weave in both ends. Clip ends. Seriously, that face! 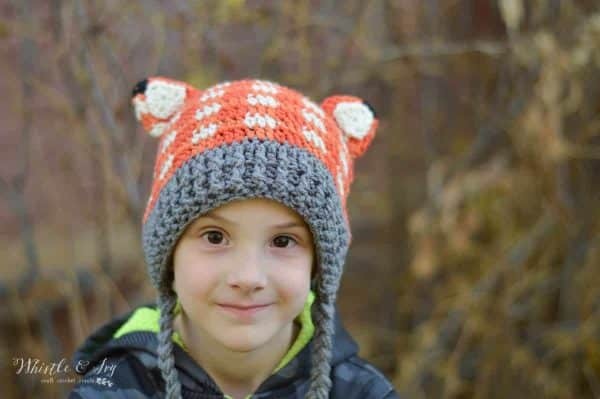 Not only is he super adorable in his crochet fox hat but he is such a good sport for me when I need to take photos of my crochet designs. That smile is genuine, guys. 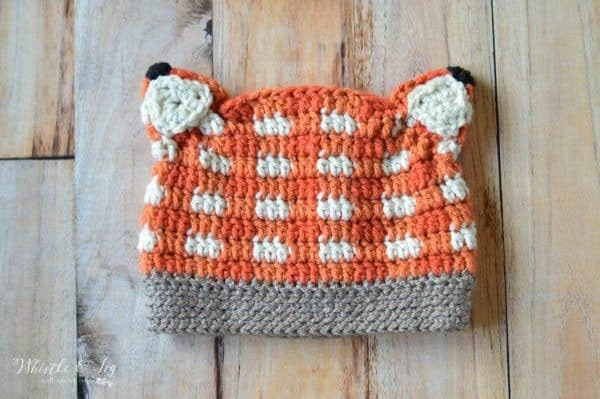 Like this Crochet Plaid Fox Hat? Subscribe! Hi! 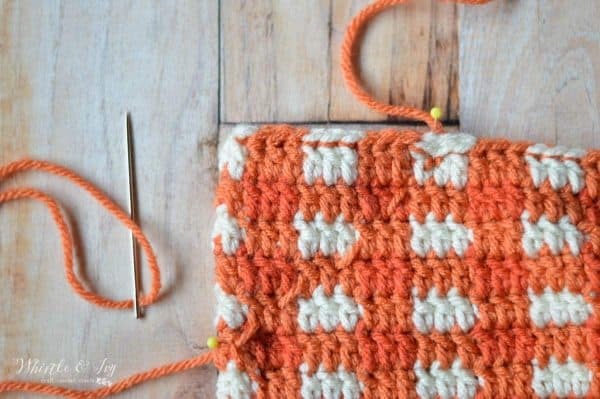 I absolutely love this pattern! 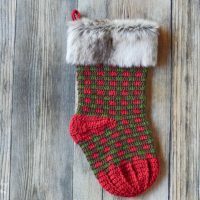 Can you direct me to the Deer pattern? My hat is complete but I need the antlers for a baby hat. Thank you so very much for designing such wonderful patterns! For the inside ear for toddler and baby, it says: Magic ring. Ch2. *Dc. Sc. Dc. Ch2. * work 3 times. Join with first Dc. My question is, you start with a Ch2 and also end with a Ch2 then join with first Dc? Should there really be two Ch2’s right next to each other? Or should it just end with a Dc and then join? Thanks in advance, my hat is turning out great! The ch 2 forms the corner, so yes the ch 2 is in the right place! The beginning ch 2 starts the height of the row, the last ch 2 is the last corner, and you will join with the first dc because the first ch 2 does not count as a stitch. Thank you for getting back to me and for the clarification! Got it! You have to sort of push the edged in manually, and they will scrunch along the yarn. kind like scrunching curtains across a rod. Does that make sense? So the pattern does not specify, are you supposed to go through just the front part or through both the front and back layers? I am at this point and sort of stuck. Also, one you cinch it up how do you keep it cinched up? What do you do with the 2 tails to keep it cinched? Both layers. And you keep it cinched by weaving in the ends and keeping it tight. I did about the length from my chin to my hand, and I think I did 4 or 5. You fold it over so you end up with 8 or 10 strands. I don’t like mine super thick, so you can use your own preference there. I love this hat. For the child/toddler size, I have a question about the brim. It says it is only 50 st, but the base of the hat has 65 st. Is this a typo or are there skipped stitches somewhere? Thanks! The brim does not go all the way around, the corners sort of form ear flaps. If you look through the photos you will see what I mean. THANK YOU! THANK YOU! THANK YOU! I am so grateful to you for your beautiful patterns and all of your HARD work. 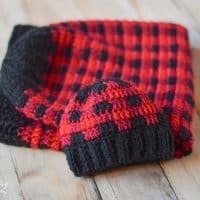 My daughter’s and I love to make your plaid Pom Pom hats! So very cute! Thanks for the pattern. One question: What size hook for the Adult size? Thank you! Oh dear, an I hook for adult, but be sure to use the hook that allows you to achieve the gauge. Is the adult hat worked with a J hook? My apologies! I used an I hook, but be sure to meet the gauge. 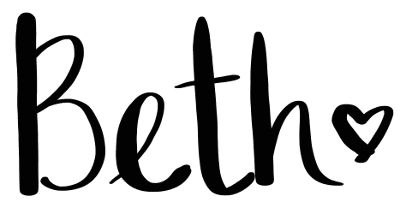 Hi wondering why you used I hook for adult and J hook for a child? What hook is best for child? For sizing purposes. I suggest J, as indicated in the pattern.